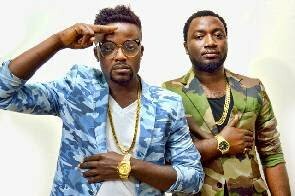 One-half of Ghanaian music duo D2 has revealed it came to a point where he and his group mate had to grow up and move on. Duke known for his singing skills on the groups Fever and many other tracks in an interview said. Asked why he left his group mate Genesis who currently promoting his single wit VVIP’s Zeal who also had invite to resettle in US, Duke denied hearing his group mate had opportunities to travel.